I just LOVE the floating glass frames Chelsea made and had to make some of my own. 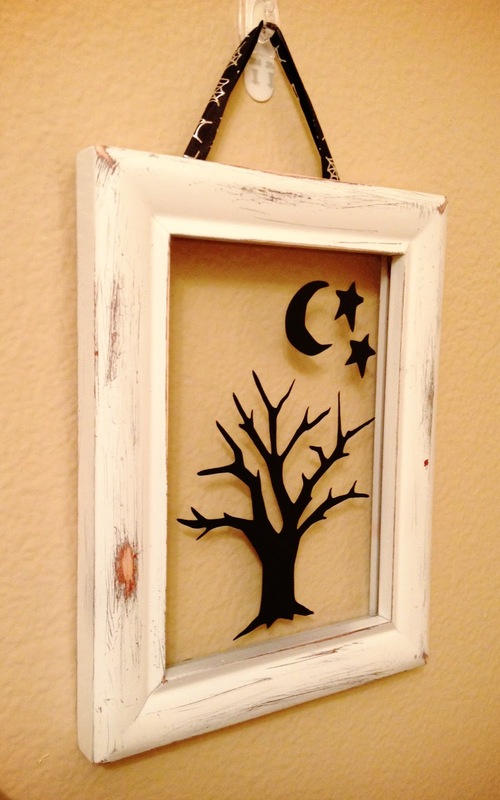 These are such an easy and inexpensive project to make. I'm thinking I need to make some for other holidays, too! To start off, I used some old frames that I had. I spray painted them white and used sandpaper to rough up the edges. 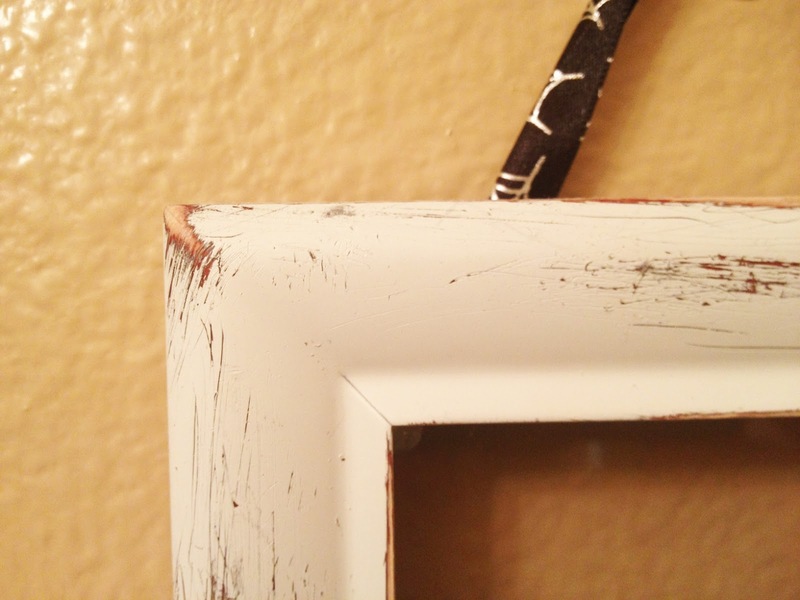 For this one I used a cherry wood frame and I like how both the cherry color and natural wood color come through. 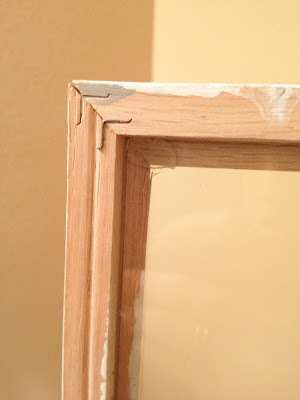 I removed the back of the frame and added a dab of glue to each corner to keep the glass in place. I also added ribbon to mine so I could hang them, but they look cute sitting on an entryway table like Chelsea's, too! I used my cricut to cut some black vinyl. I used the Paper Dolls cartridge for the skull and tree and and svg file for the bat. 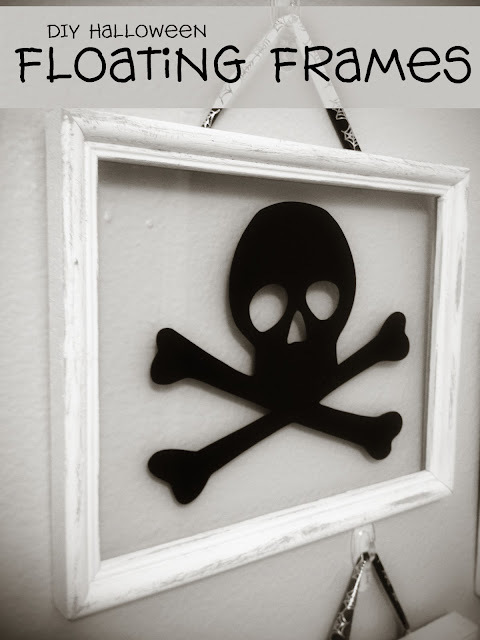 Ha those are pretty cool looking frames! 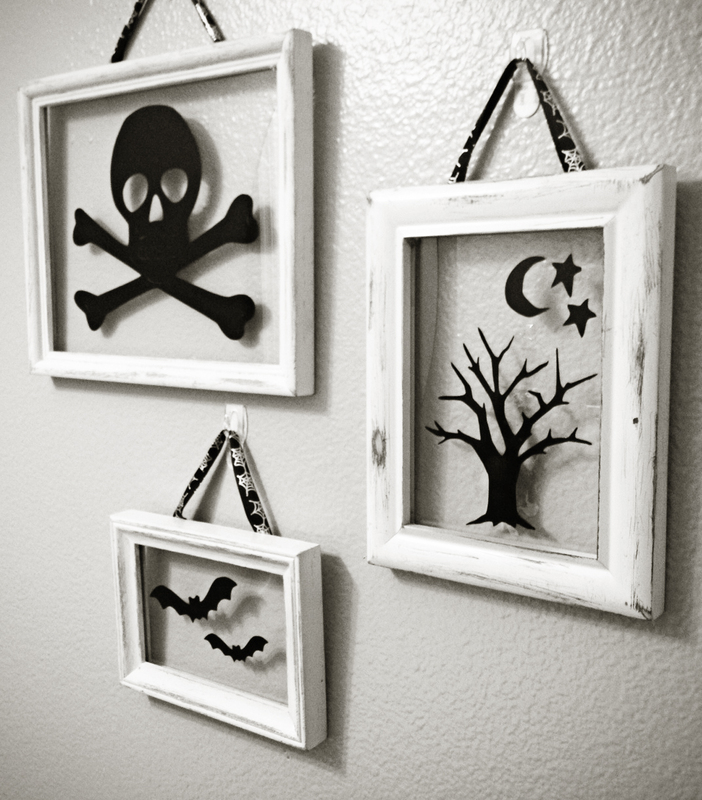 OMG - I LOVE these Halloween frames! Newest follower here, super cute blog!! !